The Scoop: LuvFree.com is a free dating site that places a high premium on honesty and authenticity. You won’t find fake profiles on this platform because a moderator looks at and approves every profile and photo. LuvFree.com’s unyielding commitment to keeping its users safe has allowed it to thrive over the last 11 years in the modern dating scene. The world is changing fast due to the exponential growth of the internet and smartphone technology. Just 10 years ago, smartphones had a built-in camera and a calculator. Now people rely on their phones for everything from playing music to finding out how old that one actor is. The average American spends about five hours a day on their mobile devices. A growing wave of people spend their days with their eyes glued downward as they swipe, message, like, follow, and browse the web. Technology empowers us to learn, explore, and build relationships through online engagement. A software engineer named Fedor developed and launched LuvFree.com in 2007. People are more connected than ever, and that has led to some exciting developments in the dating industry. In 2013, Forbes estimated that over 1,000 online dating services open every year, and over 8,000 services exist in the world. That’s a lot of competition, so today’s dating sites and apps have to be on their game if they want to attract a loyal following. Launched in 2007, LuvFree.com has adapted to changing technology and provided a space where desktop and mobile users can feel safe and comfortable. LuvFree.com has disrupted the online dating industry by dispensing with fake profiles, auto-renewals, and subscriber-only features. It offers an open forum where everyone can start a conversation and have fun. This dating site delivers on the promise to keep singles safe and help them make a genuine connection. Fedor, who owns and operates LuvFree.com, has developed a smart business model where the user’s needs come first. Fedor said he did not want to force people to pay to communicate with like-minded individuals online. He imagined a platform where mingling and finding romance was 100% free, and that’s what he has created with LuvFree.com. LuvFree.com turns a profit through ad revenue, so it does not need to charge its users for any services. It is free to join and free to communicate on LuvFree.com. Some people launch dating sites to make money, to get a date, or to help a friend or family member find someone. And some dating site owners are in the business to change the dating scene in general. Fedor falls into the latter category. This self-employed software engineer hadn’t planned on entering the dating industry when he started school, but a freelance project opened his eyes to the unsavory behind-the-scenes practices in online dating. 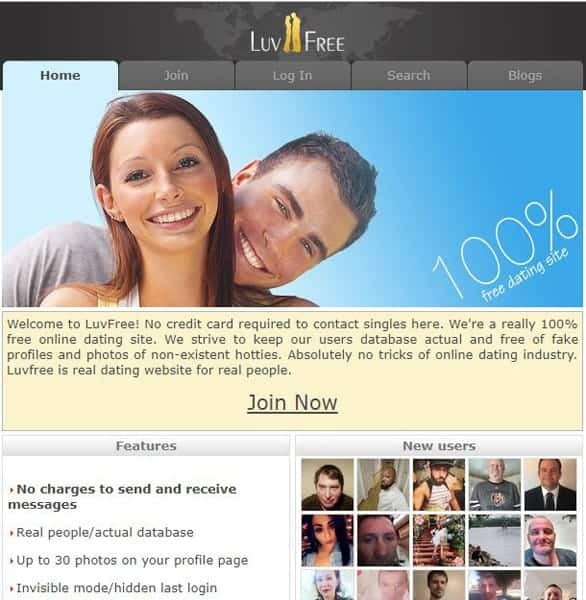 LuvFree.com is a free dating site with a strict anti-scam policy. 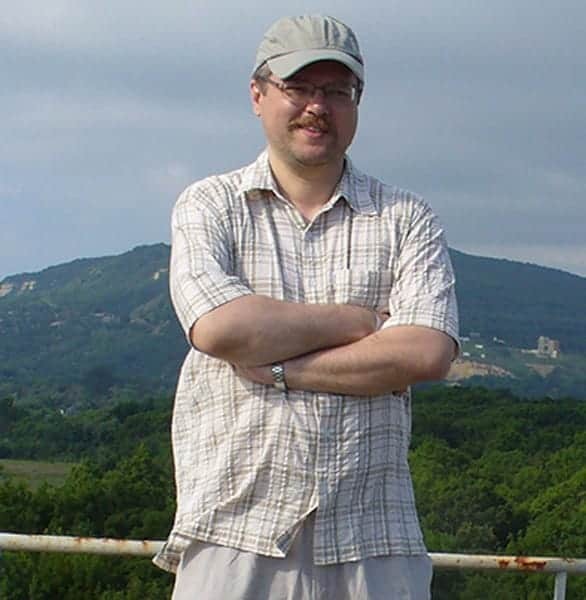 In 2006, Fedor began working for a well-known dating service. His job was to write a program that would deliver messages to male users from fake female accounts. Fedor was appalled. He hadn’t realized how many fake accounts existed on dating sites, and he hadn’t known that some dating companies would use false hopes to deceive members and keep them spending money on the platform. Fedor told us that seeing those tricks and scams deeply upset him and motivated him to start his own dating service and protect the singles of the world. He launched LuvFree.com in 2007 to put an end to the games, lies, and nonsense of online dating. Hundreds of new members join LuvFree.com every day, and that means the network is constantly in need of updating and curating to ensure everyone has a safe and fruitful experience. In the early days of the website, Fedor could moderate the profiles and pictures himself by hand, but now the dating site’s membership base has grown far too big for that. LuvFree.com now employs an experienced team of moderators who follow a strict set of rules regarding profile content and pictures. They know what to look for to identify scammy behavior and dishonest content. All pictures and profiles on LuvFree.com undergo a manual review by a team member before becoming publicly visible. The team rejects inappropriate photos, stock images, and fake profiles. The strict moderation policy has paid off in helping users feel safe, comfortable, and happy while seeking dates online. Many testimonials have come in from users who said they appreciated the community atmosphere and authentic profiles. For the last 11 years, the community has grown in an authentic direction, and it has the success stories to prove it. LuvFree.com celebrated its 11th anniversary in October, and its trustworthy reputation in the dating industry is a testament to Fedor’s hard work and dedication. He has spearheaded every project and feature — from the profile setup to the site’s latest redesign — and made an effort to offer high-tech tools worthy of a modern and fast-paced dating scene. In light of the growing popularity of mobile usage, Fedor’s current goal is to optimize his mobile-friendly site and develop a companion app available for iPhone (the app is already up and running on Google Play). This will require him to overhaul the site’s current layout, and he asks his users to be patient while he works on these major projects. Fedor aims to keep the dating service free of charge for as long as it’s running, so he doesn’t employ a vast team or farm out any services. He works on LuvFree.com’s code himself and does his best to keep pace with changing times while keeping an eye on the horizon. It’s a heavy responsibility, but one that Fedor said he’s happy to shoulder.